I love that trench! and your boots look so comfortable and chic! 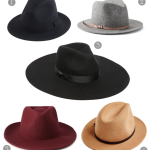 Perfect fall neutrals, gorgeous camel coat, and oh, soup… You've got me dreaming. Such a great outfit! 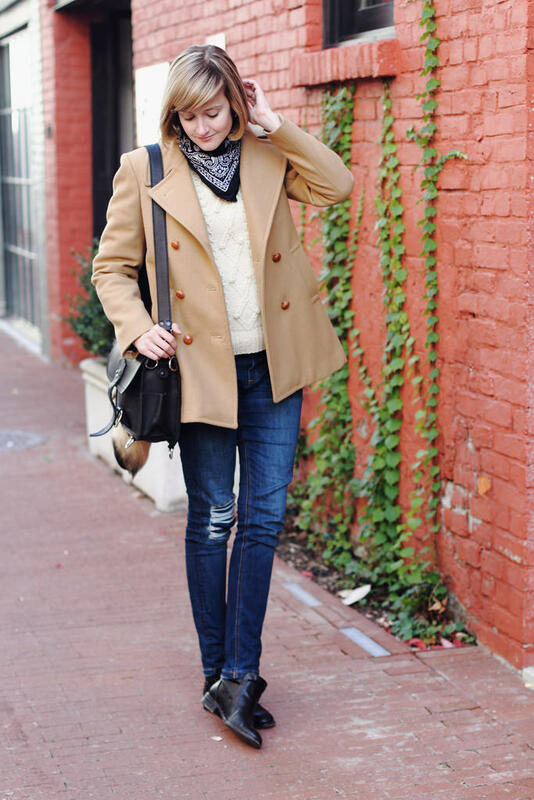 Loving your chunky knit and distressed denim. That is a fabulous bag. 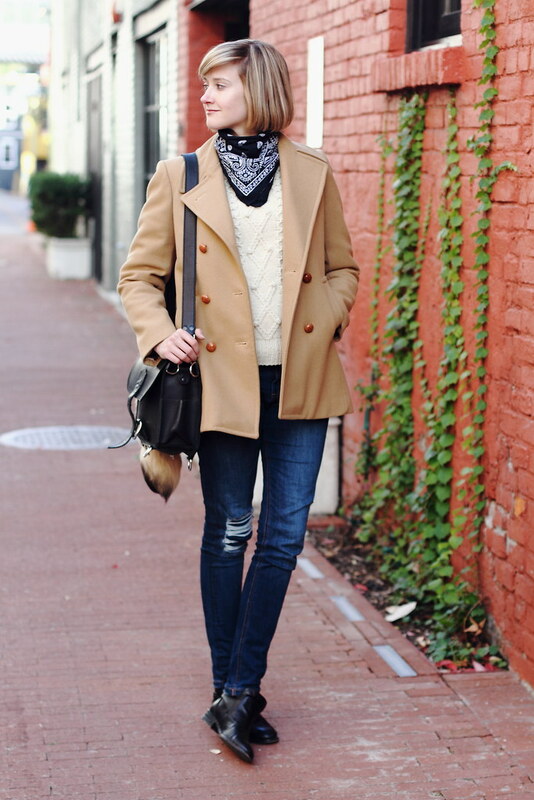 Loving your addition of the bandanna in this chic and casual look! Love the boots and jeans. I don't think I can pull off the bandanna look but it looks great on you. 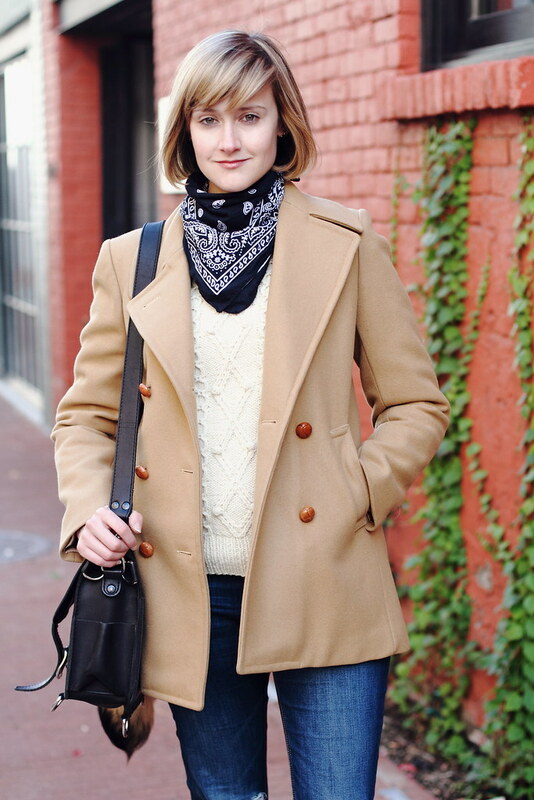 great cozy fall look. that jacket fits perfectly especially with the chunky knit underneath.